The Little Shop of Monsters by R.L. Stine and Marc Brown is a fun book that kids will love. It has monsters who are slimy, ones that smell, and more. The kids are asked not to feed the monsters and to not get too close. Some are hungry and others just say, “hi”, differently. The illustrations look like colored pencil drawings and each monster has its own unique look. My daughter loved these monsters and their gross habits. Some sneezed all over you and others tickled you. It’s a great book to be interactive with. While your child is shopping for a monster of their own, they soon discover that the monsters are doing a little shopping too! The Little Shop of Monsters by R.L. Stine and Marc Brown is just a fun book, but beware, monsters might follow you home. Without a Conscience by Cat Gardiner for review in November. Someone wants to kill The Iceman, Fitzwilliam Darcy, and will stop at nothing to lure him into the open. Out for retribution, the son of an assassinated South American drug lord is seeking payback. His diabolical objective puts Operation Macarena into play by dangling bait guaranteed to entice his enemy. Can Darcy’s new bride, Liz, accept his decision to leave their tranquil life at Pemberley to resume the deadly profession he swore was behind them forever? But are Darcy and Liz each fully satisfied with their simple, peaceful existence raising polo ponies and planning exotic vacations? Darcy set Liz’s spirit free; how can she resist the urge to ride on the wild side? Perhaps coming out of retirement is just what her husband needs because The Iceman never truly melted. 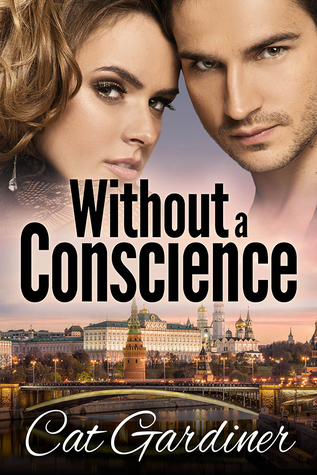 Without a Conscience takes readers on an adventure from the dangerous Peruvian Amazon Basin to the salacious underbelly of Parisian nightlife, leading toward a perilous rescue in Moscow. 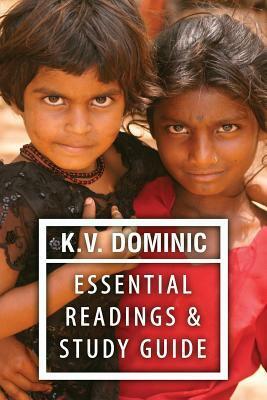 Essential Readings & Study Guide by K.V. Dominic, which Anna passed on to me. “K. V. Dominic Essential Readings” gathers for the first time the three most important works of poetry from this shining new light of contemporary Indian verse in English: “Winged Reason,” “Write Son, Write” and “Multicultural Symphony.” A fourth collection of 22 previously unpublished poems round out a complete look at the first 12 years of Dominic’s prolific and profound verse. Each poem includes unique Study Guide questions suitable for South Asian studies curricula. Written in free verse, each of his poems makes the reader contemplate on intellectual, philosophical, spiritual, political, and social issues of the present world. Themes range from multiculturalism, environmental issues, social mafia, caste-ism, exploitation of women and children, poverty, and corruption to purely introspective matters. From the observation of neighborhood life to international events, and everyday forgotten tragedies of India, nothing escapes the grasp of Dominic’s keen sense of the fragility of life and morality in the modern world. 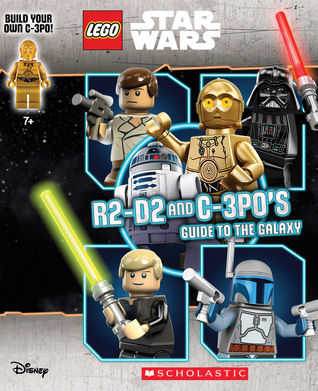 A guide to the good guys, bad guys, places and vehicles from LEGO(R) STAR WARS(TM) presented by R2D2 and C-3P0. The two fan-favorite Droids introduce each chapter (i.e. heroes, villains, vehicles, places) and occasionally pop in to comment on things via comic book word balloons, making for a humorous and fresh take on the LEGO(R) STAR WARS(TM) Universe. Plus, comes with buildable C-3P0 minifigure! 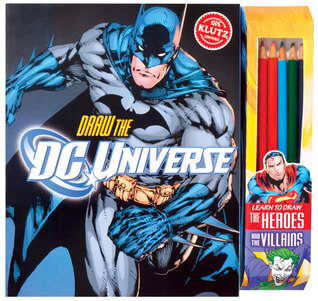 Draw DC Universe: Learn to Draw the Heroes and the Villains by Kaitlyn Nichols, which she got from the book fair as well. The Little Shop of Monsters by R.L. Stine, illustrated by Marc Brown, which she picked from the book fair. 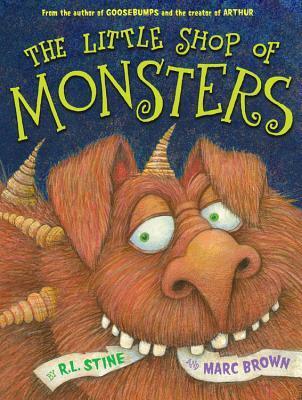 A frighteningly fun picture book adventure from two monstrously talented children’s book icons–Marc Brown and R.L. Stine! Are you are afraid of monsters? Renowned children’s book creators Marc Brown and R.L. Stine join forces for the very first time-in Stine’s picture book debut-with a tale that is monstrously good fun. Trick or Treat! by Hayley Down, illustrated by Sarah Vince, which she selected from the book fair. As Halloween approaches, children will be excited to explore this super spooky story. It contains a silicone torch that can be used to light up the pages and reveal some hidden artwork. Dim the lights of the room for extra effect! 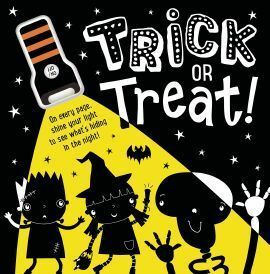 A funny, rhyming story that will help children understand that Halloween doesn’t have to be scary, it’s full of pictures of fun costumes. Shine the torch and you’ll be able to see the excited children inside them! Political Theatre by Mark Peterson, already reviewed in November. Over the past two years New York–based Mark Peterson (born 1955) has photographed American presidential candidates as they lead rallies, meet with the public and plead for votes. He began documenting the race shortly before the government shutdown in 2013 at a Tea Party rally at the US Capitol, when politicians were railing against President Obama and the Affordable Care Act. Since then Peterson has followed the political spin as it approaches the November 2016 election, creating already-famous images of Donald Trump, Hillary Clinton, Bernie Sanders, Sarah Palin, Chris Christie and others, cutting through the staging of their personalities and revealing the cold, naked ambition for power. This volume documents what has been widely described as the most polarized and bizarre presidential race in American history.